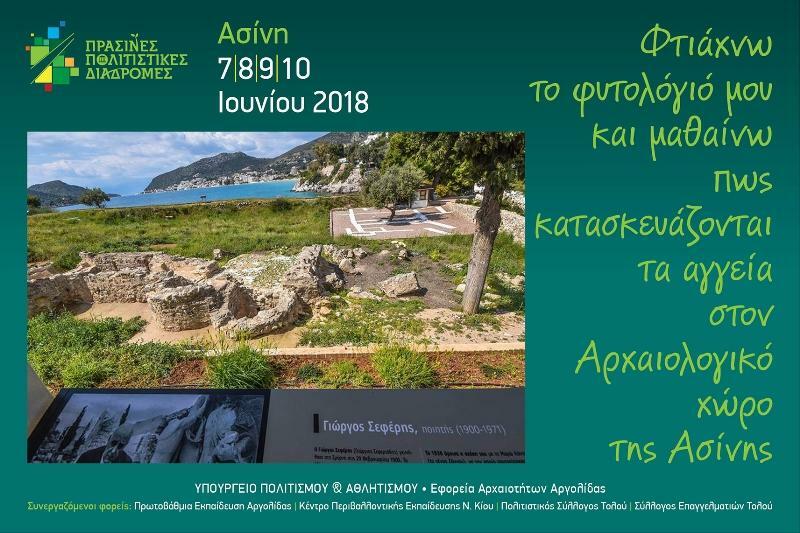 The Antiquities of Argolis in cooperation with the 1st Degree Education of Argolis, the Environmental Education Center of Nea Kios, the Cultural Association of Tolo and the Tourism Association of Tolo, will organize the event “Create my Phytology and Learn how the Pots are made in the archaeological site of Ancient Asini” on Thursday 07.06.2018, Friday 08/06/2018, Saturday 09/08/2018 and Sunday 10/06/2018. The event will include a guided tour (in the morning) of the archaeological site, with simultaneous detection and identification of flora in the area. 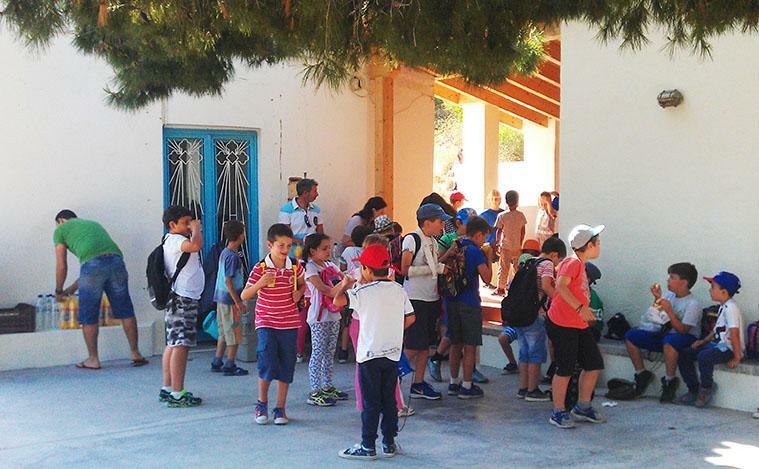 More specific, on Thursday and Friday the event will be focused on primary schools, while on Saturday and Sunday the guided tour will be for all the visitors of the site. Participants will go around the archaeological site, trying to identify plant species and discuss their historic importance, having got information material from the organizers. 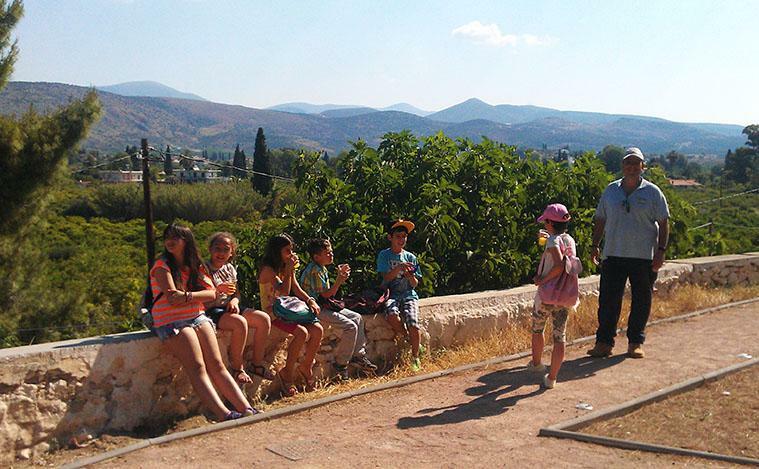 Under the same program, the Tolo Cultural Association, in collaboration with the primary school of Tolo, will plant plants of the Greek nature to selected spots. 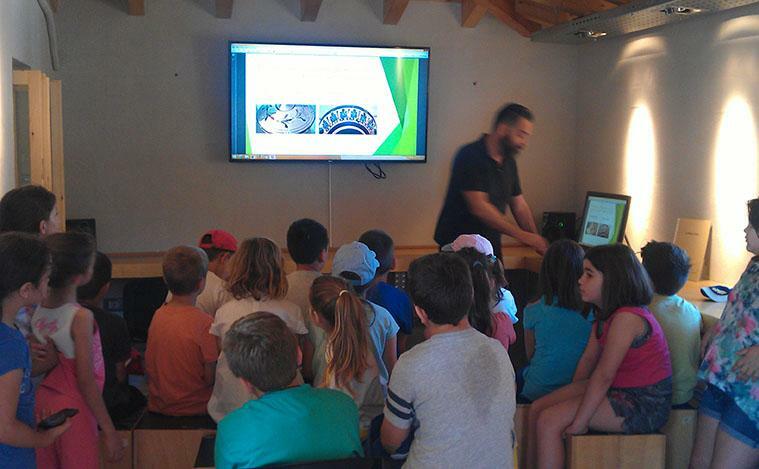 Through this action we aim to familiarize the students and visitors with the site, emphasizing the timelessness, as determined by the particular geographical position, as this is an area with a timeless trend over the years, from the Early Helladic period (3rd millennium BC) to the Second World War. 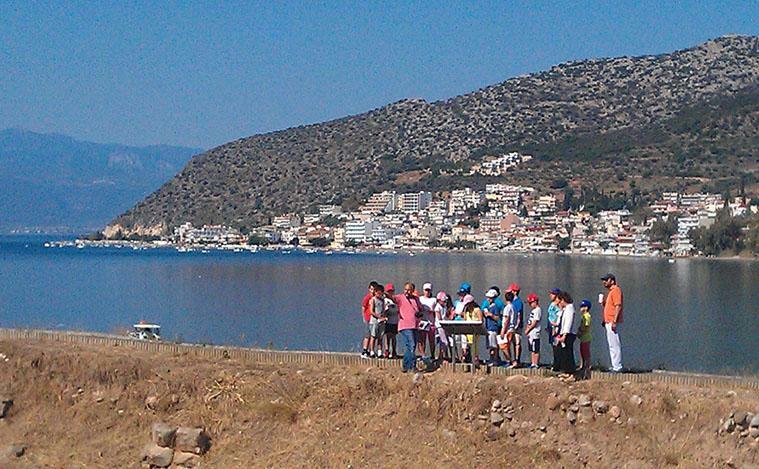 At the same time, participants will be able to recognize and assess the natural environment of the site.